Natural stone offers raw beauty and impressive strength. 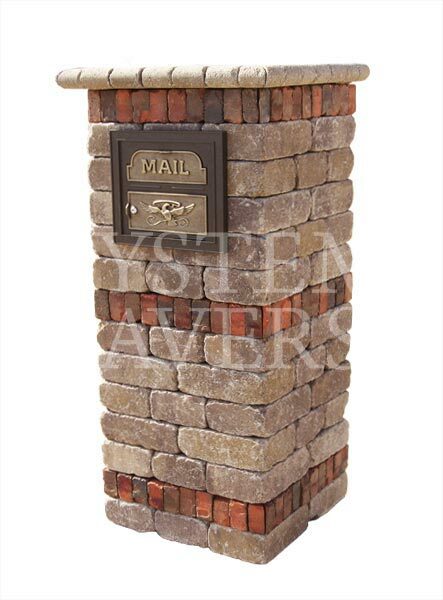 This type of mailbox is ideal for homeowners who love an unpolished look and want that reflected in the finer details of their outdoor space. Those who prefer more refined styles will love the finished look of our Capri mailboxes. We’ll create a design that is completely unique to your home, making even the smallest detail of your outdoor space a work of art. 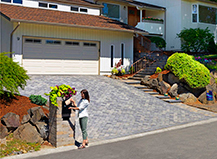 Standing at the front of your driveway, your mailbox is one of the first outdoor elements a visitor or passerby will notice when looking at your home. As such, having an architectural mailbox installed offers an easy opportunity for increasing curb appeal. Mailboxes are common targets for crime, from teenage vandalism to more serious threats such as mail theft. 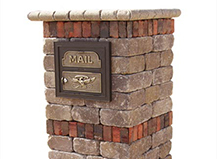 Unlike standard metal mailboxes, our heavy-duty architectural mailboxes are made of solid stone and feature locking systems. 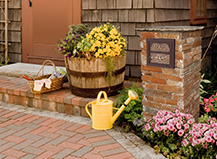 This makes the mailbox itself virtually indestructible, protecting it against vandalism and extreme weather conditions while keeping the mail it holds safe and secure. 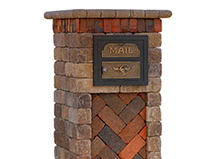 Our custom, designer mailboxes allow you to add unique elegance and beauty to a traditionally unembellished aspect of your home’s outdoor space. 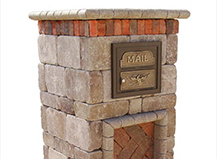 We’ll work with you to reflect your home’s overall design in the creation of your new custom mailbox. 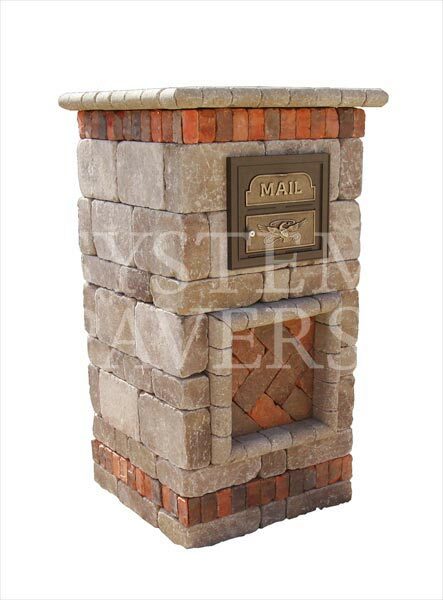 Custom mailboxes allow you to bring your unique style to even the smallest details of your outdoor space. 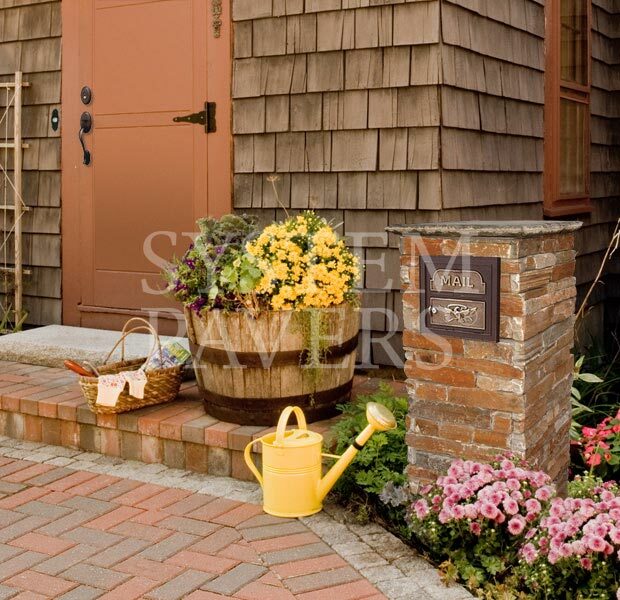 A standard metal mailbox can detract from an otherwise gorgeous exterior, whereas a custom designed architectural mailbox can help boost your home’s curb appeal. 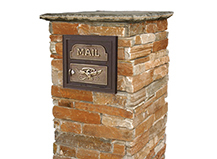 Structurally sound and virtually indestructible, column stone mailboxes are the perfect combination of beauty and functionality. Take a look at our column designs. 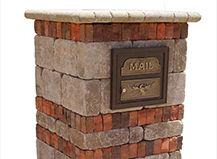 A curved cap adds an additional level of visual interest to your mailbox and helps your home stand out from the rest of the houses on the block. 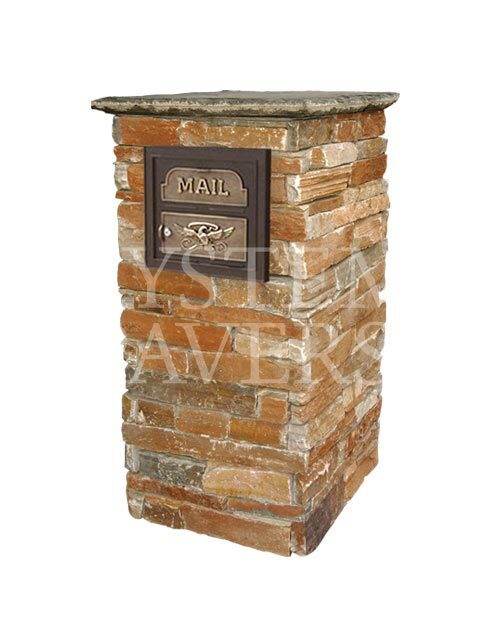 See how a curved cap elevates the appearance of an architectural mailbox. 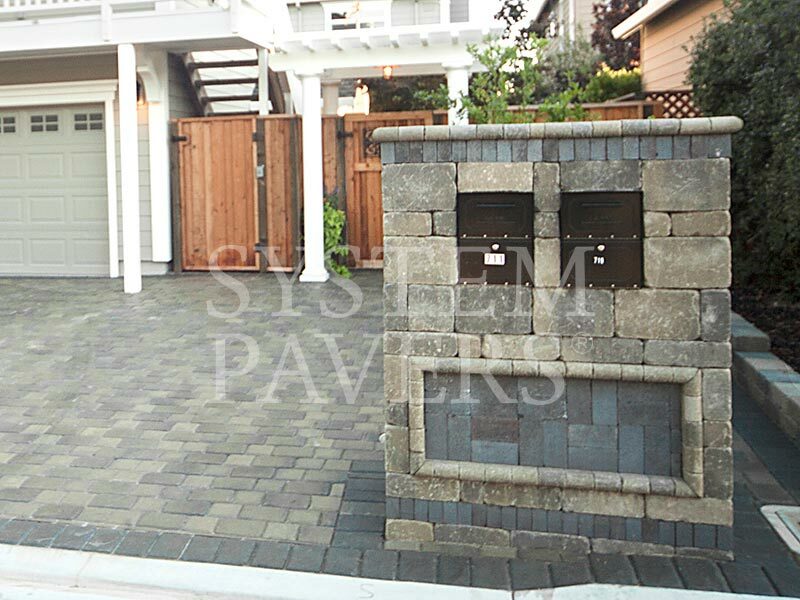 Do all System Pavers mailboxes come with lock and key security? We believe your personal security should always be a top priority. 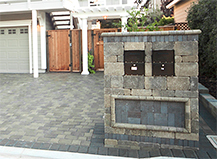 As such, all paver mailboxes come with security features, including a lock and key. 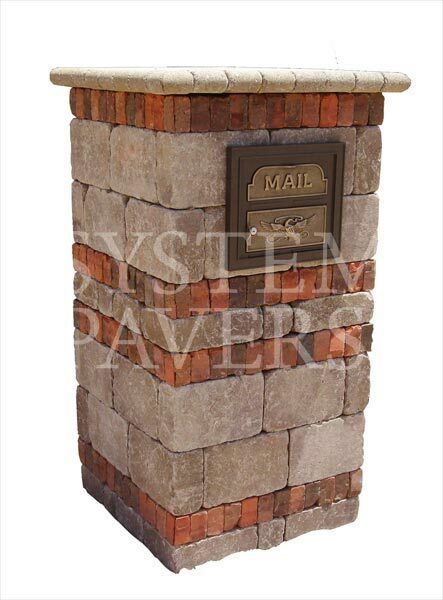 Can System Pavers mailboxes be customized to match my home’s hardscape design and paver driveway? 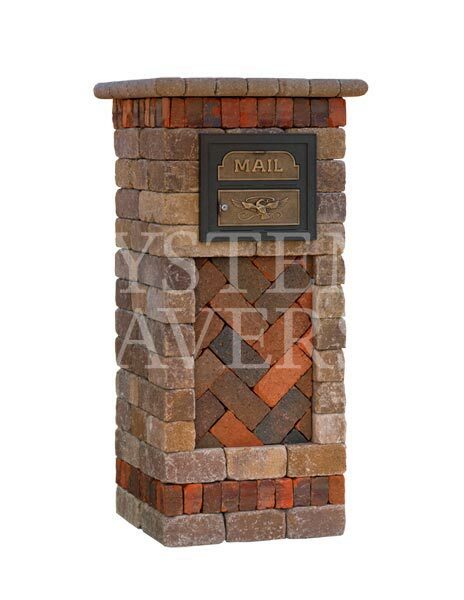 Yes, our mailboxes are available in both natural stone and Capri and can be crafted from the same stones as your paver driveway.